Laura started piano lessons as the age of four and quickly moved on to cello. In high school, she studied with cello professor, Nils Oliver, at UCLA. She completed her degree in Sociology from UCSB in 1993 and spent the next two years touring with a rock band as their lead guitarist. 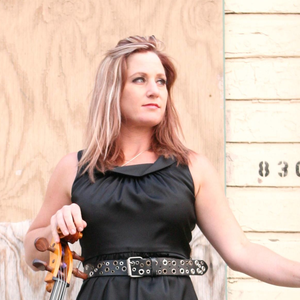 She has been playing cello with Channel Islands Chamber Orchestra since 2010 and composes string arrangements for recording studios in Ventura County. Laura lives in Ventura with her husband Shayne and teenage daughters, Erin and Allison.